Shopping for carpets can be a confusing and an overwhelming experience. First, there are so many styles and materials to choose from. In fact, you will be spoilt for choice. While this is a great thing, it can sometimes make it more complicated to choose the right one for your home. Secondly, there are so many other factors that you need to consider when picking the right carpet. Again, you are not an expert, and you might not be able to understand everything about carpet flooring. For these reasons, we have decided to help you out by offering a simple explanation on how you can go about the entire process. Just read on and find out. Knowing the factors to consider when shopping for a carpet can be very helpful. Here are some of the most important factors you must always consider when picking the right materials and style. 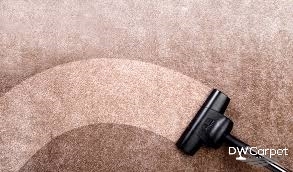 If you have a high-traffic room, a resilient and durable carpet that is resistant to stain would be a great choice. If you have children rolling about your floor and playing, a soft and plush carpet would be a great one. Such a carpet should also be able to hold up against the constant stain, which you expect from kids anyway. The lighting of your room where you are planning to do carpet installation should determine what colors you should choose. If your room enjoys plenty of natural light, dark colored carpet flooring would be perfect because it will not make the room appear small and cramped. For dimly lit rooms, go for light colored carpets. They will make your space appear bigger. If you have pets and kids, you should go for a carpet with puddings that will withstand the spills and pet accidents. Good thing is, there are so many carpets out there that are designed to stand up to pets and kids. What fiber is suited for all your needs? It’s worth noting that the type of fiber that has been used in carpeting will determine how the durability and performance of the carpet under different conditions. When a carpet is being made, the fiber is usually converted into yarn before it is tufted in different ways. Fibers differ in terms of their weaknesses and strengths. For you to be able to choose the right fiber for your needs, you should know the differences. Nylon is actually the market leader and most popular one in carpet fiber, especially in residential carpeting. The fiber is man-made and highly durable. Furthermore, it is also very easy to maintain. Apart from its stain-resistance qualities, it is also inherently strong, and these make it highly resistant to dust and dirt build up. Polyester is the cheapest option for those who are on budget. Its stain-resistance qualities have also made it very popular in the market. These one have low resilient properties. Therefore, they do not wear well especially in high-traffic areas. However, they are the best choice for areas with low traffic. Wool on the other hand is a natural and very lovely. They are the most expensive carpets in the market. If you are not on budget, they are your best options. Of course, you can’t buy what you cannot afford. While you are keeping on mind your carpet requirements and the best type of fiber for your needs, you should also consider how much money you are ready, willing and able to spend on the entire carpet flooring process. 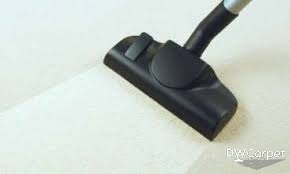 This include the price of the carpet, carpet installation price and maintenance cost. If you asked me, I would not advice you to cut corners so much. Otherwise, you are going to go back to the market sooner than you think.